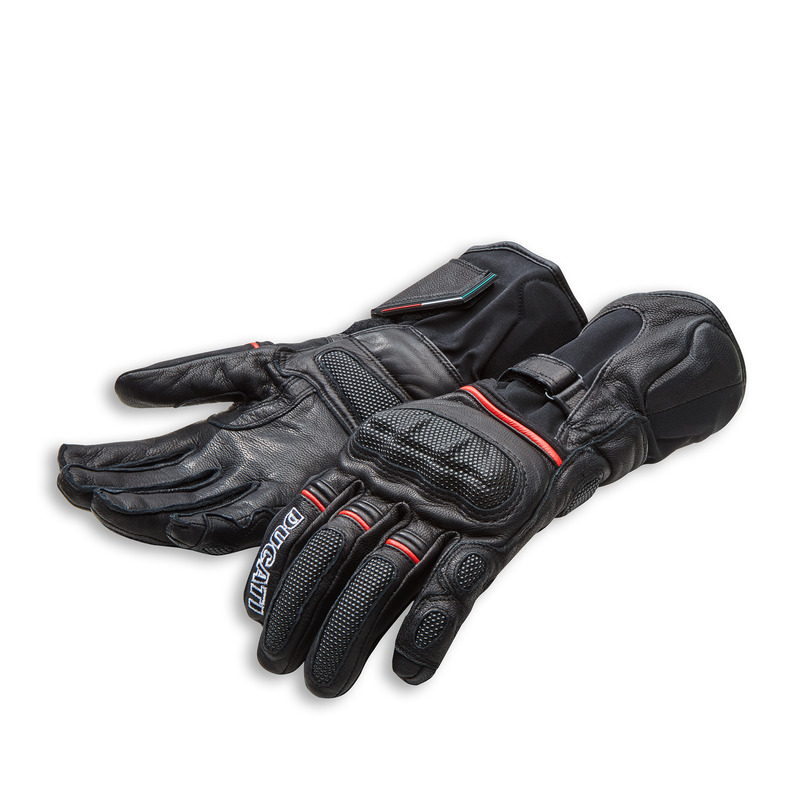 Strada C4 gloves, produced by Held exclusively for Ducati, are perfect for sport-touring. The exterior is made of cowhide, sheep leather and polyamide fabric. Each of these materials, expertly positioned, helps to provide comfort and protection. Inside there is a Gore-Tex® waterproof and breathable membrane which, thanks to the reduced thickness created by the Gore grip process, guarantees riding sensitivity and control of the bike. 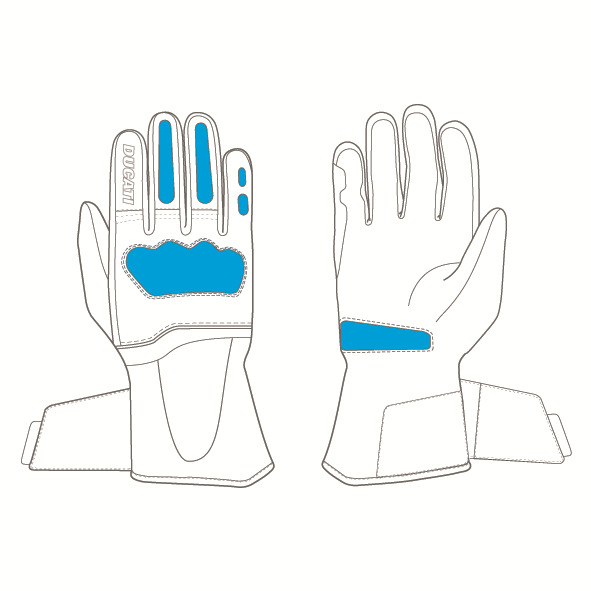 SuperFabric® inserts and volume adjustments on the wrist and sleeve further enhance the performance of the fully CE-certified Strada C4 gloves.